There are several different things you can do to help sell your book. Below are several sales strategies that you can use for any type of book. Prepare (and send) press releases to all media (newspaper, radio, TV, eGroup/eList, Usenet/newsgroup, etc.) within the area while you are completing work on the manuscript, again when it is being published, and after, to cover such events as signings, parties, etc. Write a news articles describing the work you are doing or what went into the completed book. Interesting news articles describing unusual activities or events are welcomed by most newspapers. Articles that use your expertise are one great alternative to public speaking. Instead of an oral presentation, you've put your knowledge into a short article. These may also be a source of secondary income - check for writers guidelines in various periodicals. Don't limit yourself to one news article - the more the merrier. The worst that can happen is if they don't get published. However, if your target book buyers read the periodical, your best bet may be to offer news articles up as press releases - if marketing is your goal. Be sure the item (PR or news article) is of interest to newspaper readers and is written to attract attention and queries. If the writer has a good photograph (traditionally black and white glossy), it may be presented with the item for publication. Check with your target publications to see their preferred method of submittal - Mail, FAX, Email, etc. If instructed not to send anything - don't. It is extremely important to follow any rules set for you by publications and websites/services. Send PR or news articles to local publications as well as publications that cater to the location(s) in the book, subject matter, etc. Don't rule out a publication as "too big" or "too small", though you might wish to write them for submittal guidelines (tip sheet) before sending in your press release. Article should answer the 5 W's: who, what, why, when, and where. The first line of the release should be an attention getter. 2-3 line summary of topic early in the piece. Consider formatting with "talking points". Include background on the author, writing, and subject matter to some extent. With so much information that can be included, adhere to the "mini-skirt rule" - keep it short (as possible) while not sacrificing content. After writing, go back over it - are there places where you can say the same things with fewer words? (see previous tip). Have someone else (just like your book) take a look at the material before you send it out for constructive suggestions. Many times they provide great insight as to how much the author leaves out their own personal information. Provide both physical description of the book (i.e. 8x11", hardbound, 342 pages, archival notation, etc.) and a general description of the content. Keep it interesting - while many genealogies tend toward statistics, if the press release is a dry, dull read for the public, it might be a long-shot for it to even be published. Do you have a great oral story in the book you can summarize or an antidote about your experience writing the book? Did it get published - send a thank you note. Did you not see it published? Ask why, when sending another copy. Do you think your project(s) can benefit from more information than single articles? Consider putting together a press/media kit. Click here for an older (11-4-2011) comprehensive review of 60 free press release sites. Click here for Tips to Invest in. QR codes can be used (DIY) in a variety of marketing ways to expand on your marketing dollar, ease the book ordering process for customer, preview book content, provide materials not possible "in print" with your budget, etc. Augmented Reality (AR) can do things such as QR - without the "generic barcode" feel. Ever feel like you are hand selling your work? If you already handle all the marketing, especially for small publishing editions, consider setting your work apart further by designating a signed edition. These can additionally be numbered (hand or machine) and/or carry special pages such as color or bonus. Consider marketing the edition as signed and limited - even designating a special ISBN. Do you already mail (or email) a group of friends and family around the holidays? Don't hide your light under a basket - let them know about it! If you are not already a member of genealogical e-lists having to do with your subject matter, join and double check their rules: Next step - formulate promotional material for the list that will be of benefit to the readers, send, then follow up. Rootsweb has compiled a list of genealogy book e-lists they host. Check around in your region: Many places have good old fashioned bulletin boards. Make a poster about your project and get to posting. Don't feel like commissioning posters at the local print shop? Do 8.5x11" mini-posters on brightly colored paper from your desktop! Be sure that you don't violate any rules though: example - don't use Microsoft Clipart if you are asking people to buy the book (commercial venture). Do periodic follow up: do they need refreshed, reposted, or removed - don't be a litterbug. Exhibiting with your book? Consider getting a bit "fancy" - go beyond what you can do at your desktop at home and hand lettered posters. Use foam board to really make an impression. Foam core signs can promote your book, you, lectures, etc. Click here for a few "store bought" display items we offer for sale. Make your own coupons! These can be done in a variety of formats (flyers, brochures, book marks, business or post cards, etc.). Be sure to include all your contact information, the item in question, and something extra for the bearer. Coupons can be for a particular amount or % off, free or reduced shipping, an autographed copy, a mystery bonus (some imprinted advertising specialty), etc. The sky is the limit. Give the coupons out in person, leave them on freebie tables, tack them to bulletin boards, include them in correspondence, etc. Don't forget to consider terms such as an expiration date and if the coupon needs to be surrendered. Ask all your readers to review. These can be used on your website, in press releases, or if your book listed with Amazon, Barns & Noble, or another book store that allows online reviews, posted directly. Many book reviewers will want a free copy to keep or donate, while some will work from a loaned copy or alternate edition. One can easily hand out more review copies than you sell, but targeted reviews can be worth their weight in gold. Not all free PR is good: What to do about a review that doesn't truthfully represent the published content? Look long and hard at the item and seek other's input - is there even a grain of truth to it? Address any facts before moving onto untruths. Online there may be no definitive action, however here are some strategies: If the review is user added, reply/comment, or post; if it is a reputable website, contact the website (though many reviews are considered opinion and will not be removed); strive for multiple factual reviews - across social media, blog, email, service and website platforms. In print, contact the publisher - any ethical publication will strive for an unbiased product, though reviews are still many times considered opinion. Think positive: This contact may lead to more press that may not have happened without this extra follow up. Ask all your friends to relate your project to all those individuals they come in contact with. If there is no organization for your subject matter, consider establishing one or becoming a clearing house for it. If your family has not been having reunions, organize one! 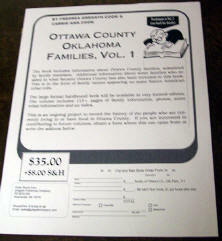 While this is more effective with genealogy books, families always like to have relatives work of any kind. Consider having written information on hand to hand out/distribute to anyone you talk with that are interested. This gives the potential buyer something material to remind them about your project. Items can be varied, from a business card to flyers, book marks, etc. Basic "recycling" would be a sales flyer or tip sheet. Include a report on the book project in all of your holiday correspondence - this can increase both interest and donated materials. This can be part of the holiday family letter, an insert or part of your stationary, etc. When printing new business/calling cards, consider adding author to your title and/or including your book's homepage address (URL). 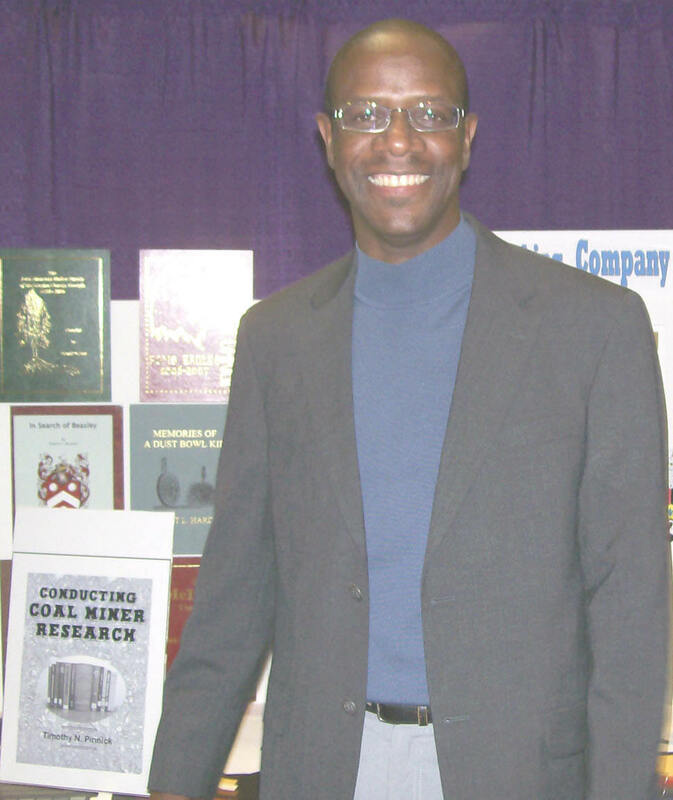 Include a photograph with any mailings (especially electronic): can be an action shot of the author writing or selling, or a special one from the book. If the book is already published, it could even be a "beauty shot" of the book itself. Make sure to caption the photograph. If it is from the book and the promotional material doesn't address the photograph, the caption can be a bit longer to make sure you tie the photo to the book. Consider developing at least one aspect of the book into a lecture, or character presentation, and market this presentation - always referring to the book. Always include information on how to order more books. Bind promotional material in the back, or just a couple of lines on the verso will do. Whenever there is "filler space" throughout the book manuscript, take a bit of it to remind readers about other publications, family reunions, and other opportunities to network and sell books. Additional Tip: Use different fonts, layouts, and clip art to keep from being overlooked after the first instance. If you attended a college or other institute of higher learning, don't forget to contact them with PR. Many would love to run an alumni success story. List your book for sale in as many places as possible. 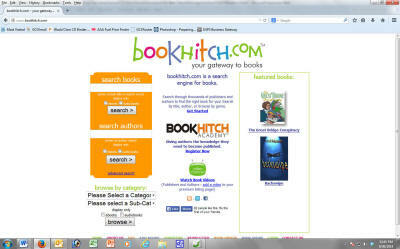 One such area that can be done for free is http://www.bookhitch.com. Sign up at Amazon's Author Central. Even if not selling books directly through Amazon, you can add information about you and possibly about your books that others are selling. Be sure that you have at least one online presence dedicated to your book. This can be a traditional web site, dedicated blog, or social networking account (profile, page, group, etc.). If you have more than one static presence, it is good to interconnect them. Online, consider releasing some content related to your book. Table of Contents, Preface, and Contributors are all great ideas that can be shared, in their entirety, that may encourage sales. For genealogy, another idea is the entire index. Giving the index away is arguably a good strategy, and for those who feel this is to much, offer a surname only (no page citation, given names, or other data) - as this lets potential buyers get an idea of what is in your book. Online book content can be offered for a limited time (then "removed") - but beware totally deleting information from online is not as easy as it sounds. Search Engine Optimization (SEO) of your web presence. Take a virtual tour of others blogs, post on online bulletin boards, list free classifieds, post in news areas. When publishing with us, send your publication announcement to us - we'll add it to our Facebook timeline once (free) any time you specify from receipt of order/payment to up to 60 days after your books ship. G550-$20.00 WRITING Family History Or Genealogy For Pleasure and Profit Complete Edition, by Gregath Company, Inc., *updated* 2011. ISBN: 0-944619-00-2, 8½x11", softbound book, 126 pages, suggestions & examples of all facets of your project for the typist and/or computer user. Also available on disk.